Any operating system update invariably results in changes: some for the good, some bad, some totally unexpected. Head of @VeriCorder @poddiohead tells me devs looking for permanent fix for AutoLock problem, and he'll advise of progress. Big iOS 7 improvement for #iphonereporting: FaceTime Audio uses far superior mic on bottom of phone, not tiny one used w video. Feature LOST w iOS 7 for #iphonereporting: No longer tweet video directly from Camera Roll, just through YouTube/Vimeo. Voddio users: iOS7 STOPS recording if screensaver or screenlock kicks in. The fix: change Auto-Lock timer to "never" in Settings/General. @AugensteinWTOP Vine now offers the option of no sound. When selected it produced a popup error msg and wouldn't film. Appears fixed now. The new multi-tasking protocols in iOS 7 will inadvertently STOP RECORDING AUDIO if the screensaver kicks in, or if the Screen Lock button is pressed. Change the Auto-Lock timer to “Never” before starting a recording session. You can make this switch in Settings, in the General category. The down side: the “Never” setting chews up battery life. Vericorder is aware of the bug, and apparently working on a fix. 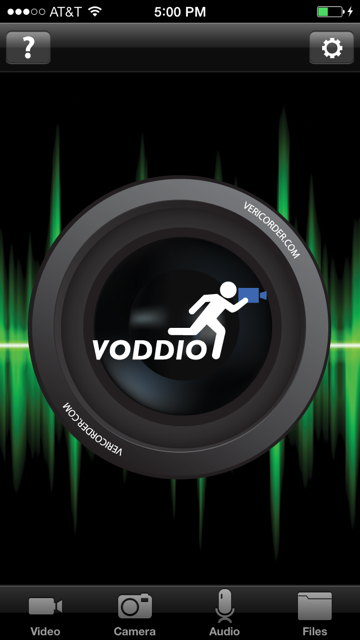 As Voddio is my go-to field recording and editing app, I hope they find the fix quickly. Thought you’d want to know….